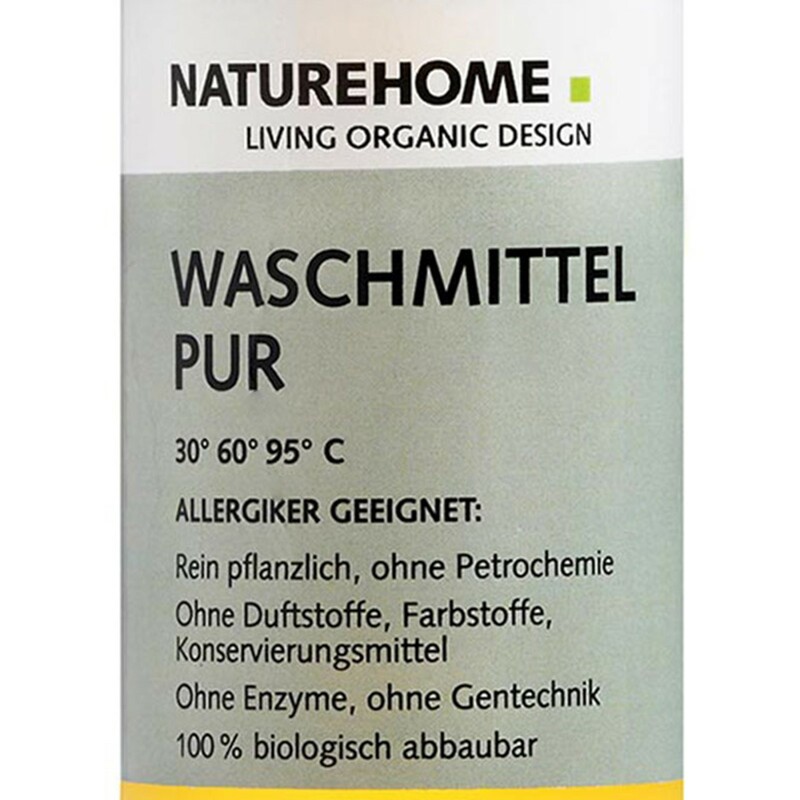 On a rapeseed and sunflower oil basis - from certified organic farming - our allergy detergent from the PURE line is the optimal solution for the entire family. 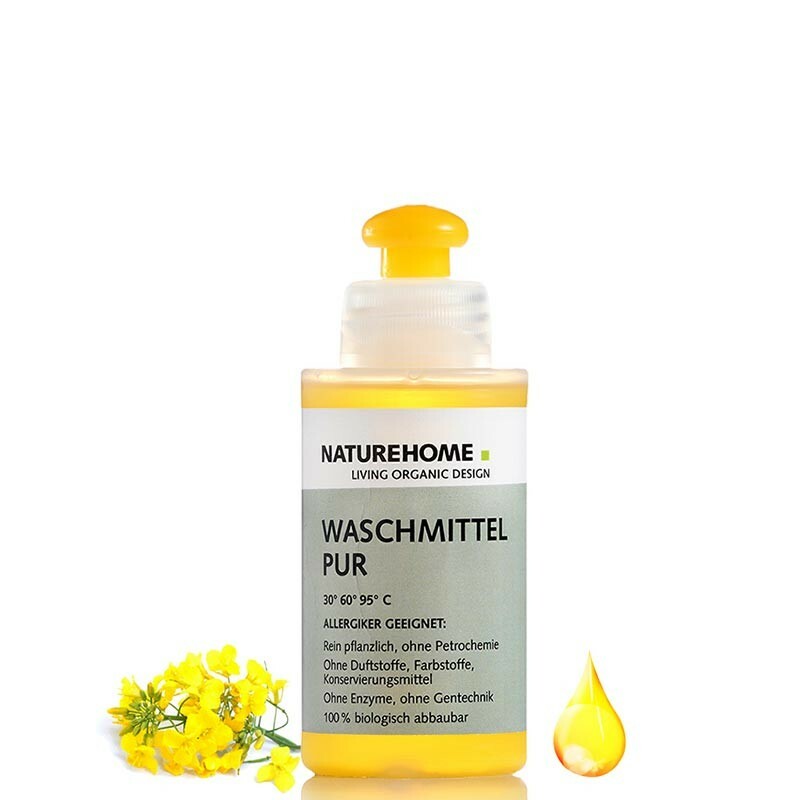 Without petrochemical ingredients, without preservatives, without enzymes and genetical engineerging and free from complexing agents and fragrances and colorants. The practical 120 ml sample size is ideal for travelling. The product line PURE for allergy sufferers is nothing short of pure nature. 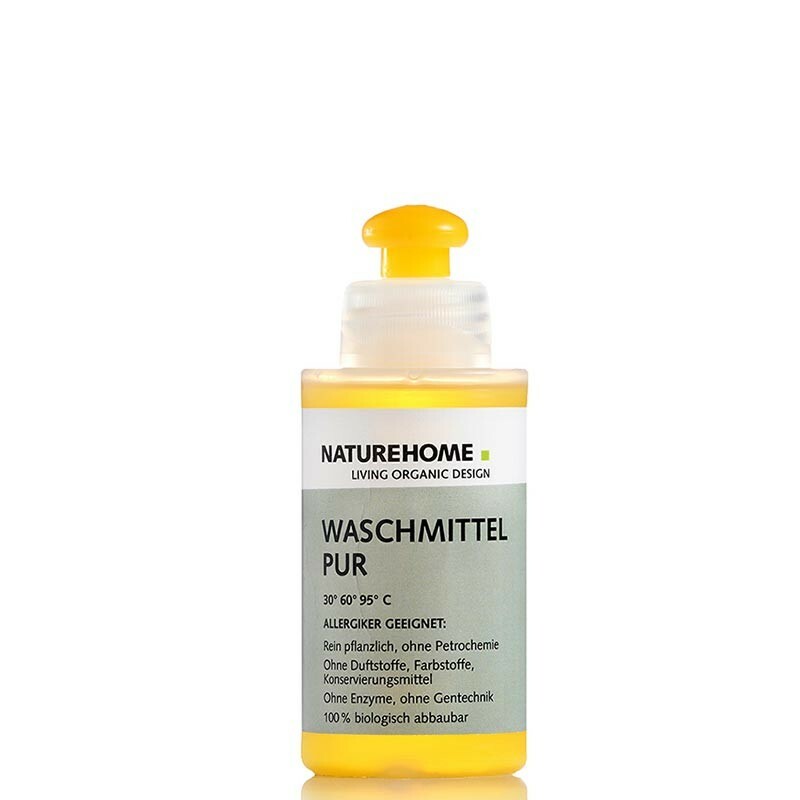 The NATUREHOME ecofriendly allergy detergent PURE unfolds its cleaning power starting from 30°C and is therefore suitable for both sensitive textiles and boil wash. Sensitive skin needs exceptional care. The same goes for the textiles you put on such skin. Detergents with artificial additives, like fragrances or colorants can cause an unpleasant feeling whilst wearing clothes. That is why we avoid petrochemistry completely in the development and production of our PURE-series. No matter whether colorful or white - your laundry will naturally be as clean as washed with conventional detergents. Free of additives you can unhesitatingly wash baby clothes with our detergents as well. Especially on holidays mishaps are known to happen.Our allergy detergent reliably cleans spots and stains even on low temperatures in the sink. The ingredients are fully biodegradable. Therefore you also protect the environment. 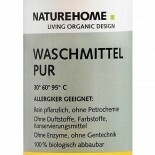 For senisitive skin we suggest other products from our especially developed allergy line PURE. All our cleaning supllies are made in Germany without animal testing. Usage instructions: For colorful and white laundry. *from certified organic farming and wild collection Note: A light deposit is no reduction in quality. Both phases have an equal washing power. Shaking or mixing is therefore not necessary.